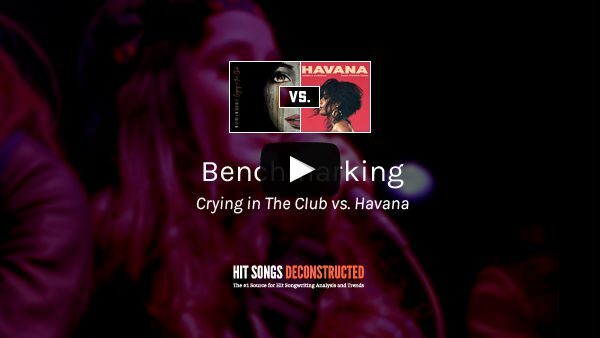 In this video we benchmark Camila Cabello’s first two singles from her first solo album since leaving Fifth Harmony, Camila – Crying In The Club and Havana. Narrated by Hit Songs Deconstructed co-founder, David Penn, and using the Hit Songs Deconstructed methodology, we uncover potential reasons why Havana rose to the top of the charts and established Cabello as a major solo artist, while Crying In The Club would wind up being dropped from the album. How Havana was more in tune with the hot and rising trends of the day, while Crying In The Club was not.